TNPSC Group 2A 2019 [Application Form, Exam Pattern, Date] : TNPSC Group 2A notification for the recruitment of vacancies of non-interview posts will be released in May 2019. Every year through TNPSC Group 2A, many different positions in government departments in the state of Tamil Nadu are filled. The Tamil Nadu Public Service Commission Combined Civil Services – II A denotes non-interview positions. 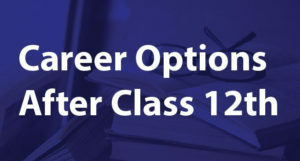 As far as 2019 is concerned, as per the Annual Planner of Tamil Nadu Public Service Commission, the notification for the Combined Civil Services Examination – II A will be released probably in the month of May 2019. The examination for this recruitment will be conducted as an objective-type test and the questions will be in degree standard. The test is conducted for 300 marks in total. 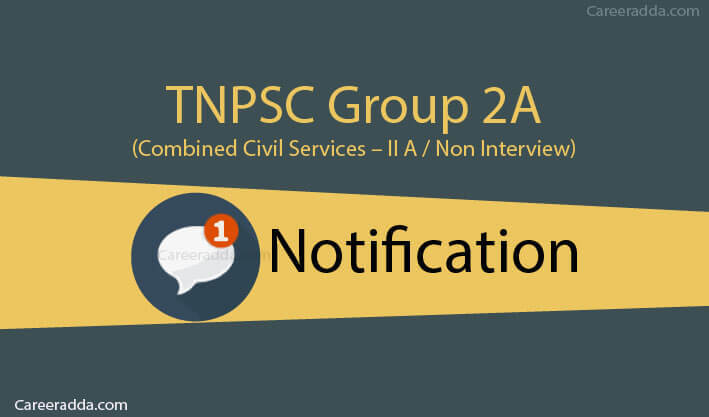 TNPSC Group 2A notification for non-interview posts will be released in the month of May 2019. For the regular updates, candidates are recommended to visit the latest notification page of official website. As the TNPSC Group II-A recruitment is conducted for different positions, the educational qualification requirement differs from one position to another. However, here are certain details that candidates will have to know about the eligibility requirement. As on the 1st of July 2019, the minimum age requirement to be met by applicants for all positions is 18 years. The upper age limit for the UR category candidates is 30 years. There is no upper age limit for candidates from SC/ST (A)/ST/MBC/Denotified communities/BC (Other than Muslims), BC (Muslims) and destitute women of all castes. There is no upper age limit for differently abled candidates. For ex-servicemen, there is no upper age limit for candidates from reserved categories. For others, the utmost age limit is 48 years. 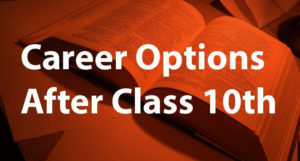 However, the relaxation will not be applicable for candidates, who have already been appointed to any category, class or service. Candidates without the computer certificate can also apply. But, if selected, they will have to clear this certificate course before completing their probationary period. The result for the examinations for the qualifications mentioned above should have been declared before the date of notification. So, candidates waiting for results cannot apply. The qualifications mentioned above must have been obtained by candidates in proper order like SSLC, HSC and then a degree. Every applicant should have adequate knowledge in Tamil on the date of the notification issue. It means that the applicant must have studied Tamil as one of the languages or should have studied the High School in Tamil Medium. Even, candidates with second class language test in Tamil conducted by TNPSC certification can apply. Candidates without adequate Tamil knowledge can also apply. In case they are selected, they will have to pass the second class language test in Tamil conducted by TNPSC within two years from the date of appointment. If they do not do so they will be discharged from the service. In the case of applicants with defective vision, they will have to produce eye fitness certificate from a qualified eye specialist when they are invited to produce the same. The application form for the TNPSC Group A/ Combined Civil Services Examination – II A will have to be submitted by the interested candidates only through online mode from the official website of the TNPSC. Candidates should be aware of the last date to apply and they should apply before the last date stated in the notification without fail. In case, you wish to apply to this recruitment, you will have to apply through the website of TNPSC either at tnpscexams.in, www.tnpscexams.net or tnpsc.gov.in. The thing you will have to remember is that before you can apply, you will have to first register yourself using the One-Time Registration process. Shortly called as OTR, this is essential along with Applicant Dashboard to apply for any position with TNPSC. Next, you will have to enter the details of your community certificate. The details you should enter include communal category, certificate number, the name of the district, name of the Taluk, Name of the sub-caste, and Date of Issue and Issuing authority details from your community certificate. You will have to submit your application only when you log in using the registration ID and password that you get through the OTR. To apply for OTR, you should have scanned copy of your photograph and signature either in your system or in pen drive or DVD or CD. TNPSC Group 2A : How To Apply Online? Your certificates will be verified only when you selected to the further rounds of the selection process in TNPSC CCSE – IIA recruitment. The fee concession will not be applicable for candidates, who have already recruited for any service or class or category. The fee can be paid online or offline using the post office/Indian bank or SBI bank challan. You should be aware of the last date to pay the fee from the notification and should pay within the last date without fail. When you apply, you should have all your educational certificates, scanned copy of your photograph and signature ready. Also, to make the payment, you should have your credit/debit card details if you choose online payment mode. As far as the general Tamil/English paper is concerned, candidates are given the option to choose either one of these. The questions in the general studies paper will be given both in Tamil and in English, while for the General Tamil/English paper, the questions will be given in the appropriate language. For detailed syllabus, you can visit the official notification page that will have the syllabus. For detailed syllabus for the General Tamil section of the TNPSC Combined Civil Services Examination – II A (non-interview) positions, you can visit the notification page. Which nationality does the story belong to? Which nationality does the poet belong to? For detailed syllabus, you can visit the notification page once it is released by the Tamil Nadu Public Service Commission. For eligible candidates, the hall tickets will be available on the website of the TNPSC at www.tnpsc.gov.in or at www.tnpscexams.net or www.tnpscexams.in. It will be uploaded by the commission around 10 days before the date of the written test. Candidates will not get the hall tickets to their homes. So, they are recommended to regularly visit the website of the commission before the exam date to download the hall ticket. The hall tickets will have the instructions to be followed by the applicants at the test centre and candidates are recommended to strictly follow the instructions. How To Get TNPSC Group 2A Admit Card? Candidates, who have taken up the TNPSC Combined Civil Service Examination – IIA written test, can expect the release of the result about a month after the date of the written test. Once the results are available on the commission’s website, they will be notified about the same on their registered mobile number and email address. Candidates are recommended to visit the website of the commission themselves after the written test for updates on results. The reason is that in case they do not get the information to their email/phone, they might miss out further updates. How To Check TNPSC Group 2A Result? Rank and marks can also be checked by clicking on the respective link and by submitting registration number. The TNPSC specifies the minimum qualifying mark for the group 2A written test every year along with the notification. As per the previous year record, the minimum qualifying cut-off for the written test is 90 out 300. However, this number will differ based on many factors. Securing more than 90 does not mean that a candidate will find a placement. The candidates securing more than 90 will be ranked in the order of merit and only a certain number of candidates will be called based on the preference they have exercised in the application.